I know, I know, I know — my absence has caused you all mental anguish. Not really, I know. BUT…(yes I am starting a sentence with a “but”, it’s my blog and I can “but” if I want to). Life has been busy. Shocker! End of school year mixed in with a trip to help my mom in NYC, Scott’s sister, Raquel, and family moving home fro Australia (so of course we had to visit), memorial day, playing with neighbors, friends and generally soaking up Vitamin D that we had sorely been lacking in all mean this little ol’ blog has been left alone for too long. I can’t promise the coming weeks will be in more riveting or consistent but I am downloading pictures today as family over the weekend hinted they would like to see some (even though they just saw the kids “live”). So much to catch up on, I will do a bajillion posts but until then….here is some to keep you 2 people who care happy and for us to enjoy looking through at the end of the year in the blog book :)! Does this scream summer or what? 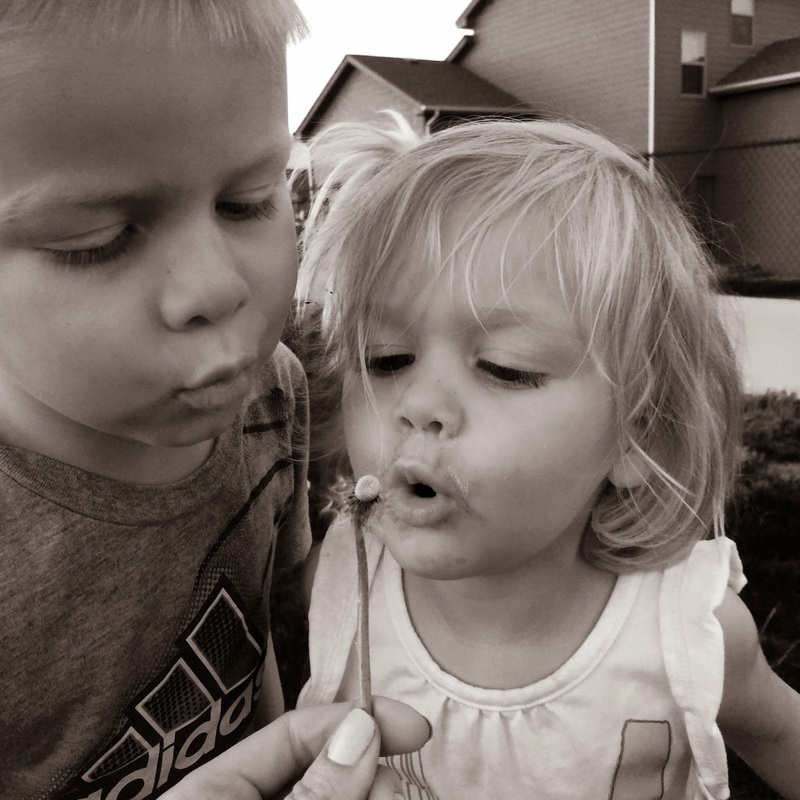 There is something so simple and sweet about teaching your kids to blow dandelions (in someone else’s yard of course ;). Vera loved it. We had biked to get ice cream before this too so the seedlings were getting stuck to her face….I love summer! 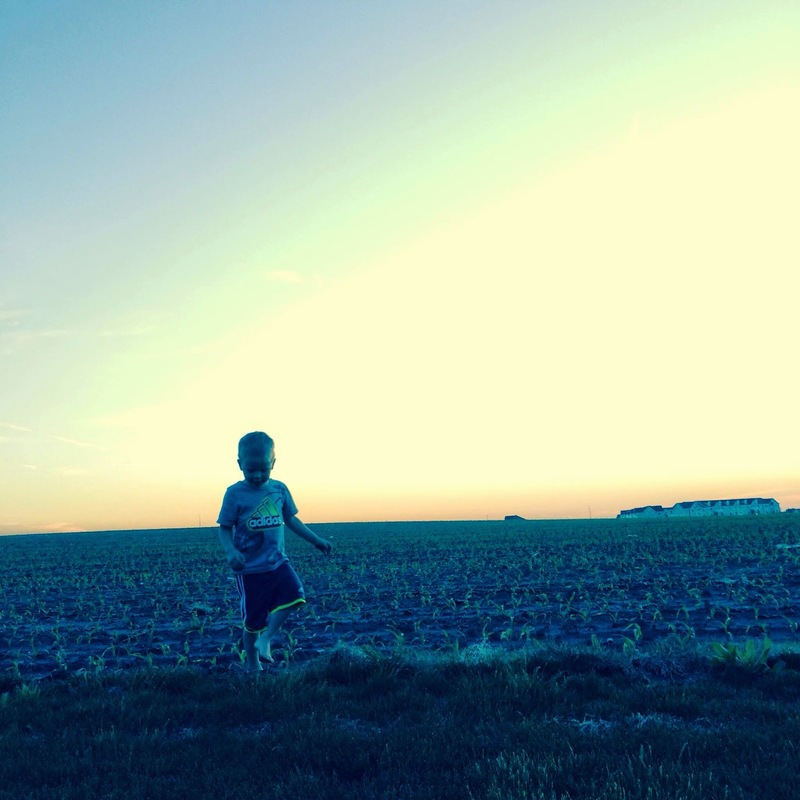 Checking out our crop…I love that our children get a taste of agriculture and that we can admire beautiful sunsets in our backyard nightly. We had a few COLD May days so we took an idea from a friend and made cup towers and shot them down with nerf guns and then Solon decided to bowl them down…it was quite entertaining to him to come up with different kinds of towers. Date night selfie–I don’t know about you but I get way stressed about what to wear when I go out on a date (yes I am probably vain) but I want to look good for my hubby and get dressed up a bit. I just don’t do it often enough…we enjoyed dinner downtown with our good friends, The Porter’s. Solon and his bestie Max have summer birthdays so they got to bring birthday treats together the last week of school. We decided to make them together during a playdate! Mini-cupcakes with sprinkles for the win! I find my precious daughter in the strangest positions during nap time and she has lots of nap-time accessories. We have dusted off the bike and in other exciting news, Solon learned how to ride a 2-wheeler (more on that in another post). He is doing really well and now Vera rides solo in the carrier which is better for everyone, less squabbles :). Eating outside always tastes better and we have been outside a lot due to that pile of rock you see behind V…we are thankful that project is over! On Solon’s last day of school, we find Emilie and Mia to join us for pedicures as our last mommy-daughter time wrapped up. The girls were terrified and opted just to sit in our laps but my tootsies looked great :). My Mother’s Day gift arrived, I love it!